Insurance ratings for new cars will be updated in 2019, recognising for the first time how vulnerable they are to hacking and keyless theft – said to be a factor in a quarter of incidents. Thatcham Research is assessing vulnerability to hacking and keyless theft. 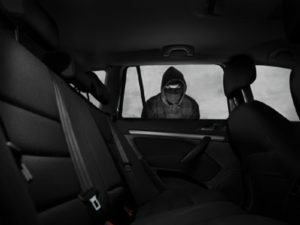 Thatcham Research said changes to the New Vehicle Security Assessment (NVSA) programme would encourage manufacturers to overcome the latest theft techniques, such as hacking via the diagnostics port, jamming lock signals from keyfobs, or relaying keyless entry signals to gain access. The organisation said carmakers were already working on software updates and measures to tackle the problem, including keyfobs with motion detectors which deactivate when they are stored. It is advising drivers to speak to dealers about any upgrades applying to their cars, and suggesting keys should be stored away from doors or kept in a Faraday pouch so the signal can’t be relayed. Thatcham Research is also calling for closer regulation of the sale of devices which can be used to hack into vehicles, or create additional keys allowing them to be stolen, saying these have no place outside a workshop.